The Urban Sketchers 9th International Symposium is happening right now in Porto, Portugal. 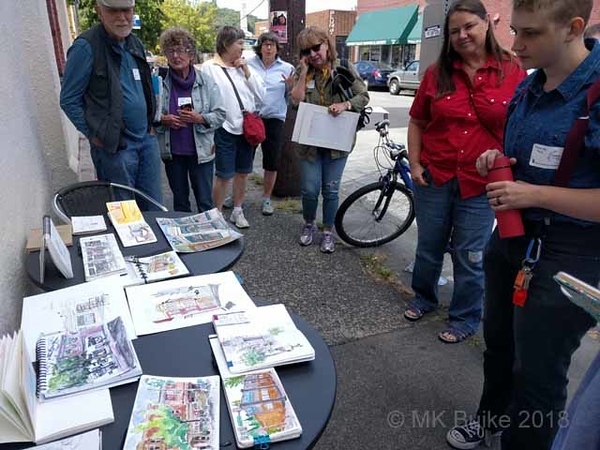 Several of the sketchers from USk Seattle are there. 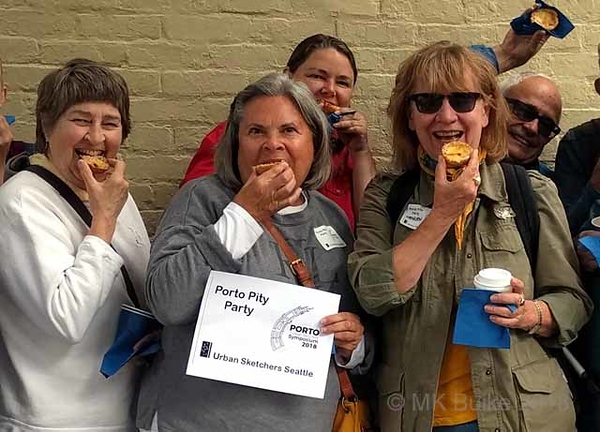 For those of us who aren't, Michele and I threw a "Porto Pity Party" at our sketch outing today in Columbia City. It was complete with pasteis de nata, the Portuguese pastry specialty that everyone there is raving about. Chef Patrick of Patrick's Cafe and Bakery took the challenge of making them for us. Everyone agreed they were delicious. We met again to share sketches. 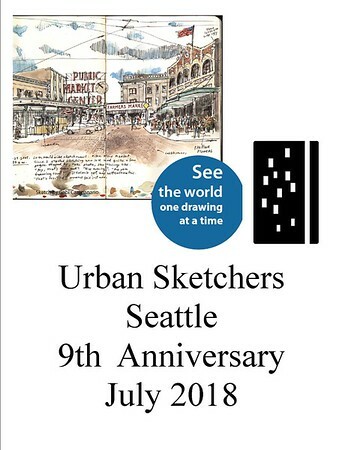 Our second celebration was the 9th Anniversary of the first Urban Sketchers outing in Seattle which was 19 July 2009. While I had another location in mind, I walked down to the Columbia City branch of the Seattle Public Library. It's a lovely old Carnegie building that is listed on the National Register of Historic Places. It opened in 1915. I added some ephemera from the day with the detail sketch of the pasteis de nata. 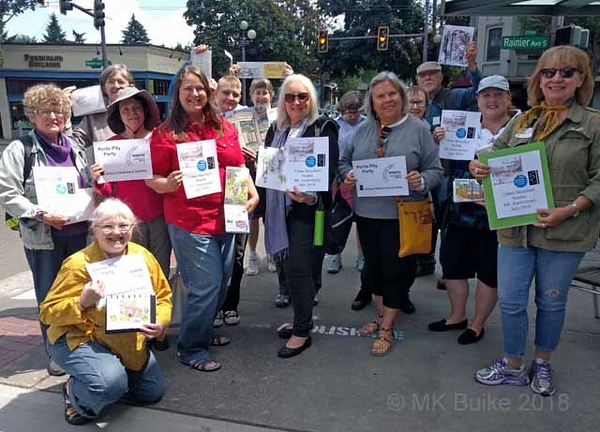 Happy anniversary, Usk Seattle, and congrats on the best-ever pity party! I almost regret missing it (but not quite)! It was the best ever pity party! Couldn't wait for your amazement as you see we have our own natas to eat! We miss you but know that you are having the best symposium experience ever. Say hello to all our sketcher friends in Porto. Congratulations to each of you. I look forward to your posts every week. It is a real joy to see your sketches. Thank you so much for following our blog and for your kind words. 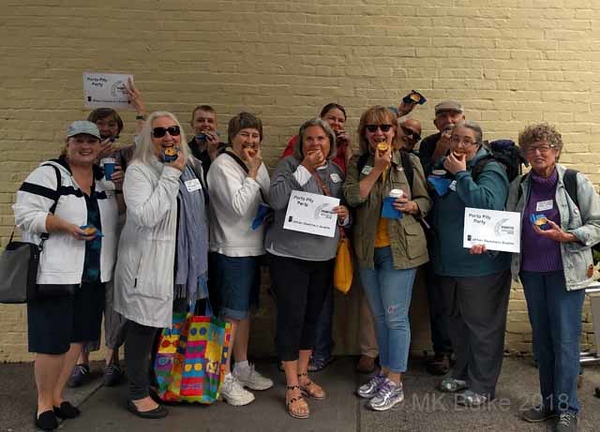 It's a joy to take a day to share our city with fellow sketchers. 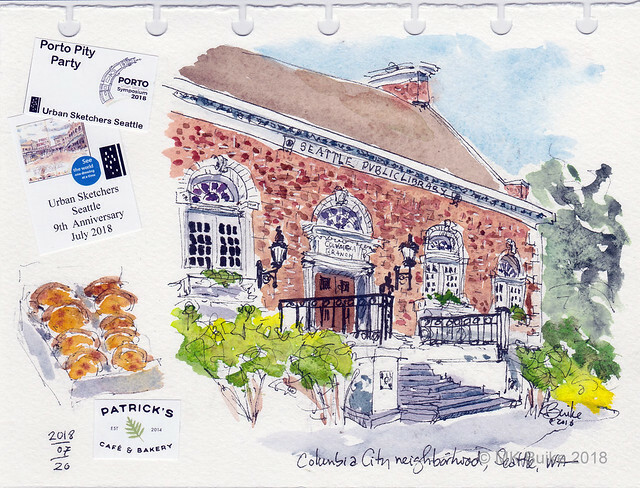 If you find yourself in Seattle, please come sketch with us.